I love how the “Reading and Refreshments” feature on my family’s writing blog, where we read aloud a book together and then review it on the site along with a recipe for a food mentioned in the story, makes me come up with creative dishes and introduces me to new techniques. Like these scones, for example. Last month, we read John Buchan’s classic spy thriller, The 39 Steps. After Stevenson’s Kidnapped, I considered it the most perfectly written novel I’ve ever read. And perhaps it is not coincidence that both stories deal with innocent men forced to run for their lives as fugitives from justice . . . across the wilds of Scotland . . . I don’t know. Anyway, I adore the book. 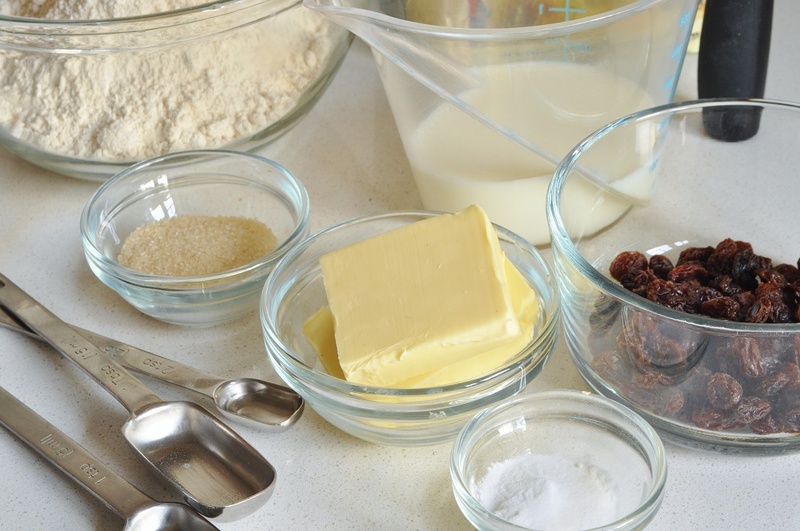 Furthermore, unlike some novels that we’ve featured before, it wasn’t very hard to find a recipe to bake from it. The protagonist, Richard Hannay, as he recounts the hardships that accompany his effort to evade both the British police (who mistakenly want him for murder) and the villainous “Black Stone” gang (who want to murder him), spends a good deal of time wondering where his next meal is going to come from. Gratitude for a square meal is an emotion that pops up frequently throughout the story. 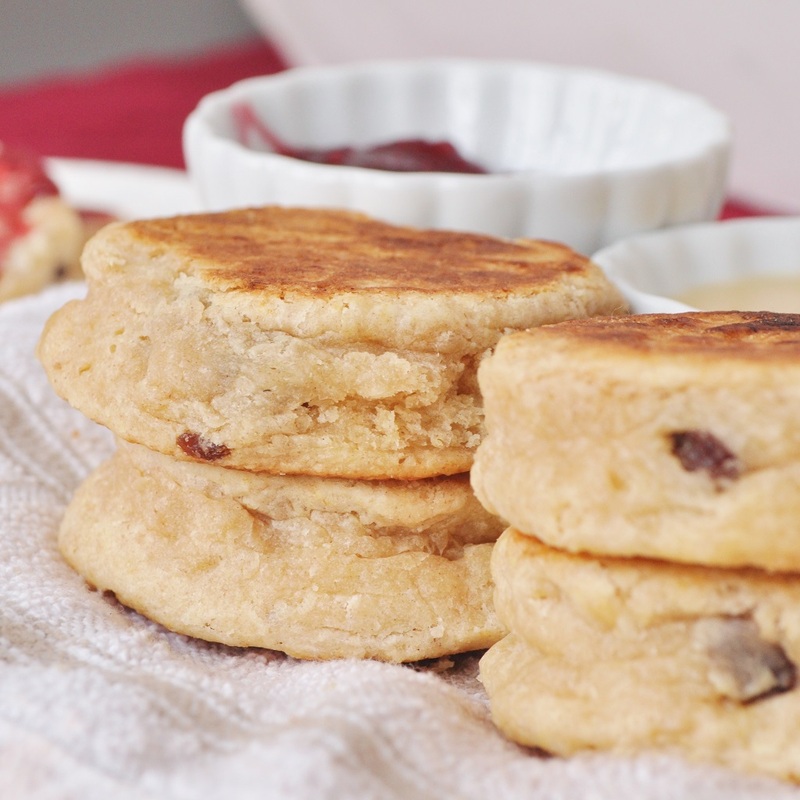 The term “girdle” means griddle with reference to scones. 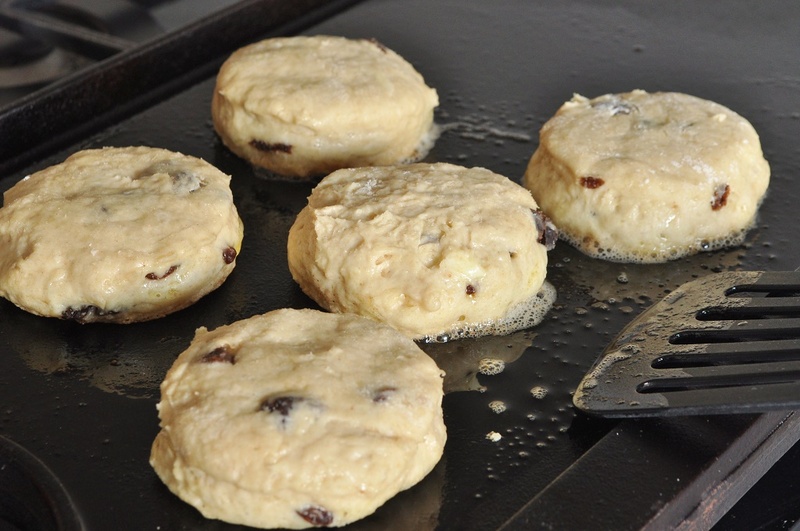 Because these scones, rather than being baked in an oven, are cooked on a heavy griddle over the stovetop. 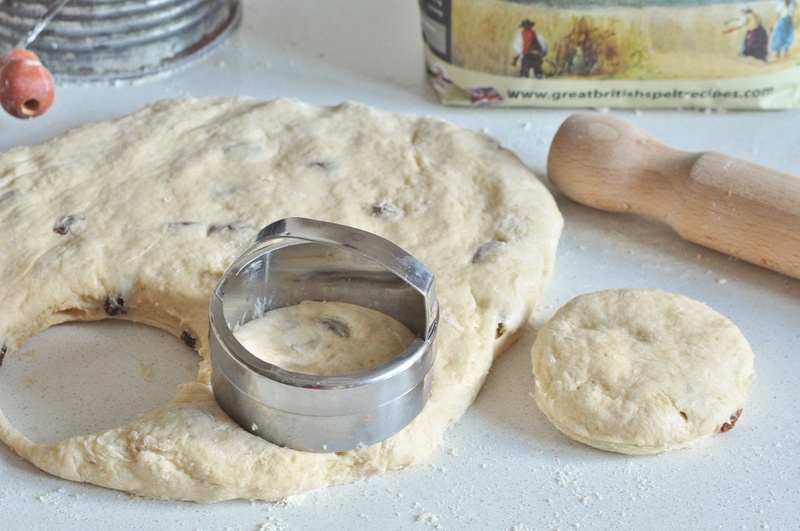 Now, this cooking method does require some careful monitoring of the heat source, so that the scones get baked all the way through without scorching on the outside. 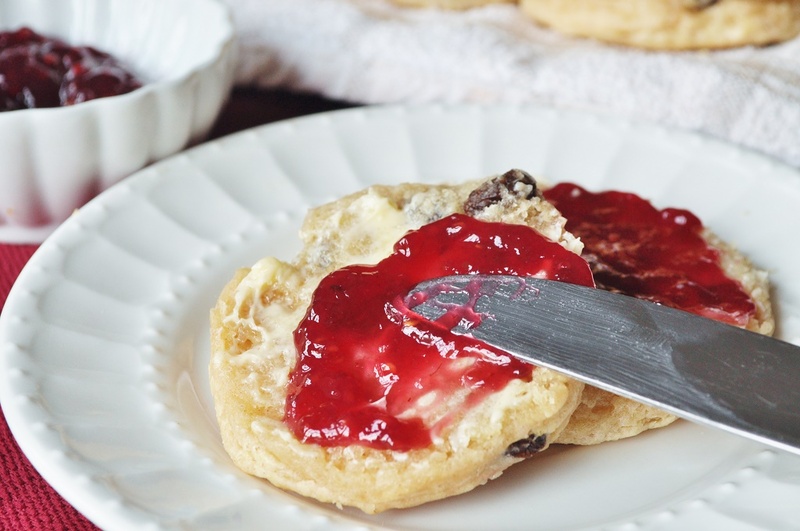 However, if you are willing to keep an eye on them as they cook and fiddle with the heat as necessary, you will be rewarded with scones gorgeously crisp and golden on the outside, and delectably creamy inside. And I don’t know what it is about a cast-iron griddle, but it imparts the most magical flavour to food. Go try it. I suppose the scones would taste even better if you had been fleeing across country before sitting down to a plate of them . . . but aren’t you glad you don’t have to be a fugitive in order to try one of these! I am sharing these scones with the Novel Food event hosted by Simona Carini at Briciole. I’ve been eyeing the event for some time, but this is my first time to join in. I hope to participate many more times! They are also my submission to this month’s Alphabakes, co-hosted by Ros of The More Than Occasional Baker and Caroline of Caroline Makes. This month Ros is hosting, and the letter was ‘S.’ These Scotch scones certainly fit the bill—twice as a matter of fact. 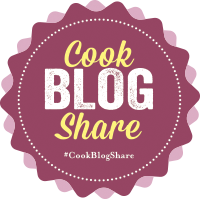 I am also linking up with Supergolden Bakes #CookBlogShare event. And finally, I’m sending these over to Family Foodies, co-hosted by Louisa of Eat Your Veg and Vanesther of Bangers and Mash. 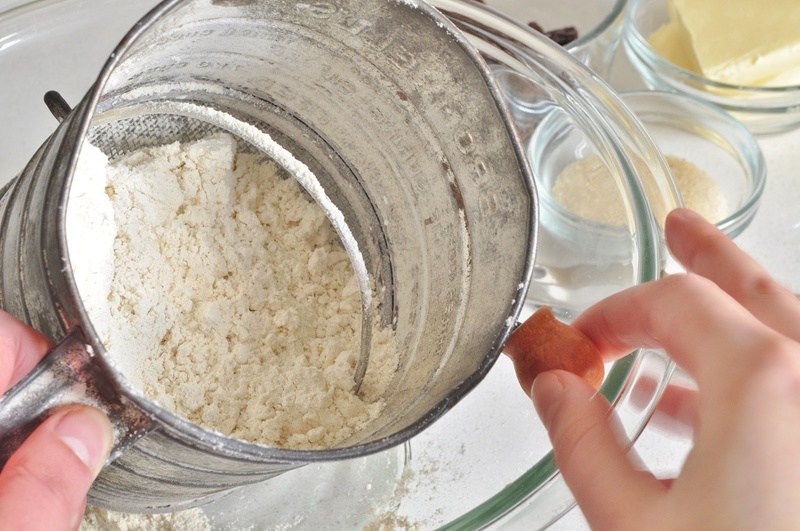 Lousia is hosting this month’s challenge: “Let’s Get Baking!” Hear, hear! 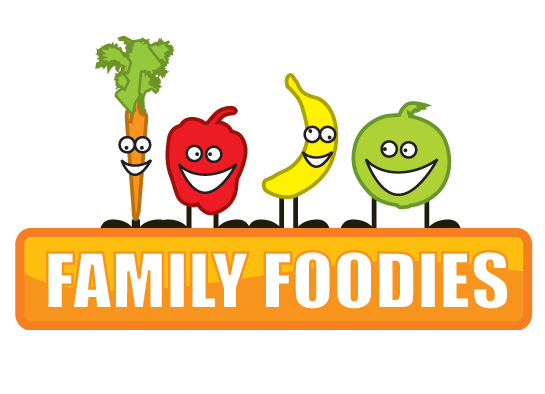 Isn’t Novel Food just a fun event? I love the chance to promote books AND food! 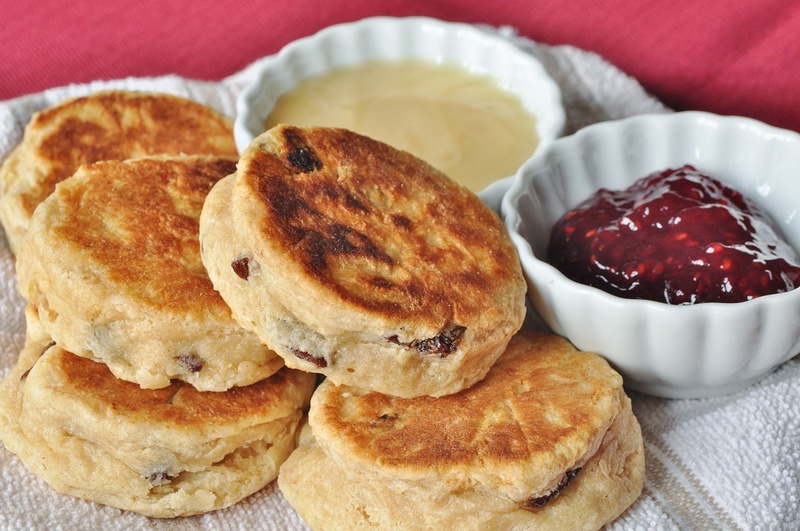 These scones remind me of Welsh cakes, which my hubby made and we devoured the entire batch, just the two of us! I shall have to give these a go. Yes! And that’s why I enjoy my own “Reading and Refreshments” over on thesiblingwritery.com so much. 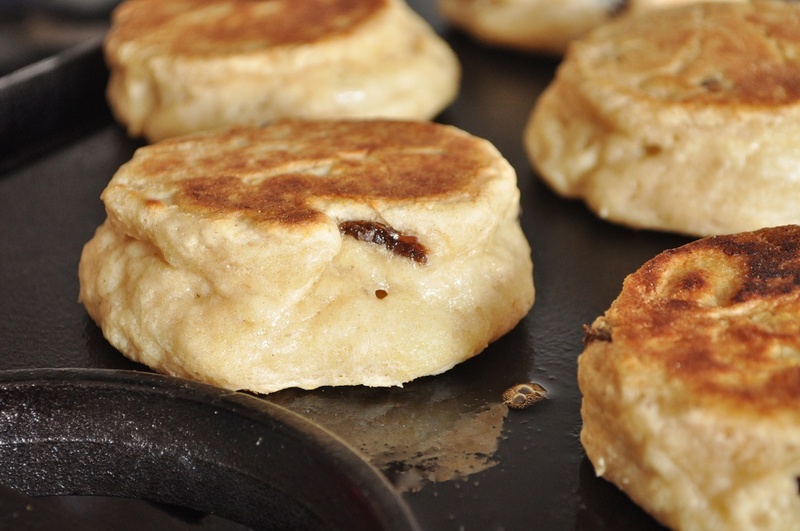 I love Welsh cakes, too, and if you like those, you will definitely enjoy these scones. With a cup of tea and a good book, right? Thank you so much Alexandra, for your contribution to Novel Food. I am glad you joined. And how did you know that I have a weakness for scones? I have never made them on a griddle though, so your post got me quite curious to try. I don’t know the book that inspired you: I must check it out. 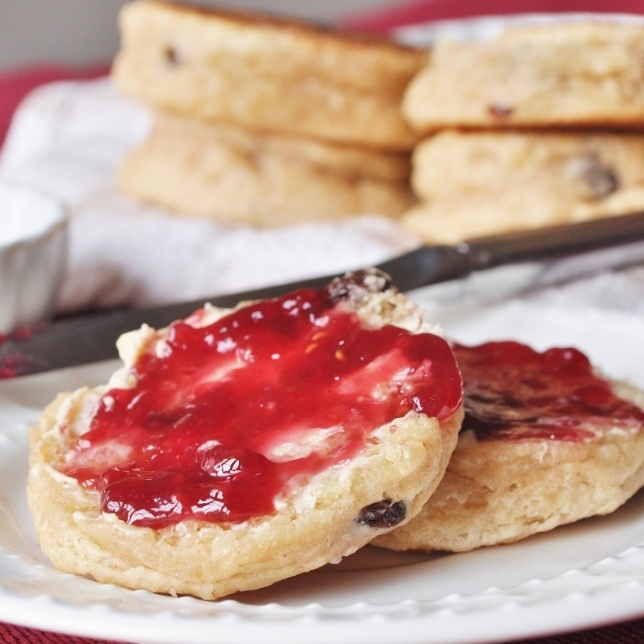 I think, if we’re honest, everyone has a weakness for scones! Baking them on a griddle does give an extra-special flavour though. And I highly recommend The 39 Steps as well! Much better than the films of the same name. 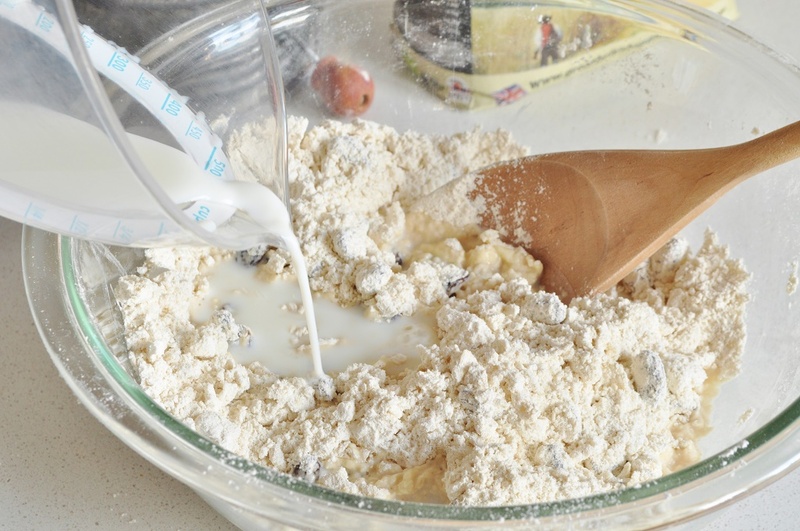 Oh, yes, my poor camera–he puts up with a lot of flour and buttery fingerprints! But he seems to be holding up under my manhandling quite nicely. I appreciate hearing that you enjoy the step-by-step photos; I need encouragement from time to time to keep at it. I sometimes think dreamily: “Imagine how much quicker and easier blogging would be if you didn’t take all these in-progress photos . . .” But I can’t bring myself to give it up. They bring the recipe alive I feel. 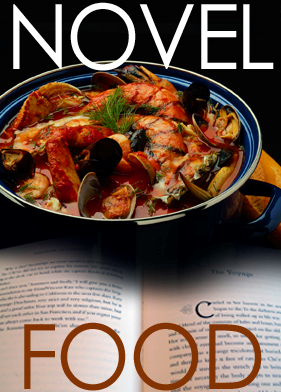 Novel Food sounds like a really fun event. I went to watch 39 steps in London and absolutely loved it. So cleverly written and very well performed. These Scotch Scones look really tasty. Thanks for entering AlphaBakes. Well, since I already do my own Reading and Refreshments, I felt that I ought to join in with Novel Food as well. I would be curious to see the play version of the 39 Steps–always interesting to see the transition from printed words to stage action. It’s more than forty years since I read The 39 Steps (slightly disturbing thought, that) and, for some strange reason, I remember it as a long book. Shows you can’t rely on memory. I must read it again. 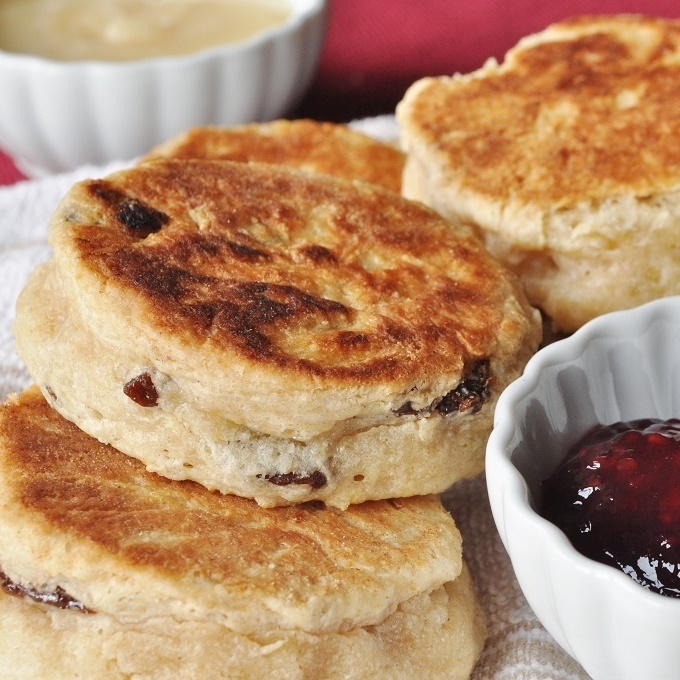 Love the look of the scones – almost worth being on the run for a taste of those. I bet I’ll read it every year for the next forty . 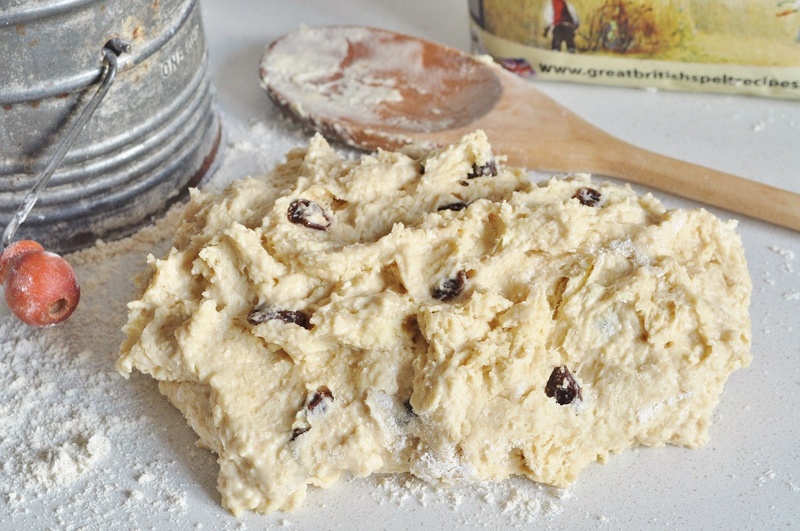 . . and quite possibly make the scones that much, too! It’s always fun to see what everyone is reading at Novel Food. I read Kidnapped but have not read The 39 Steps–I am going to have to add it to my list. 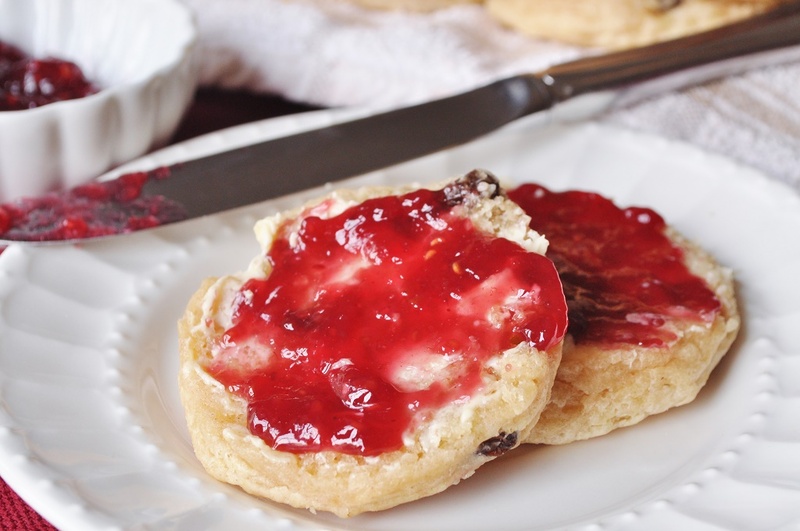 😉 Your scones look amazing–especially with the jam slathered on them, Yum! Thanks, Deb. They really are delicious, especially, as you point out, with the jam slathered on them. If you liked Kidnapped, you will love The 39 Steps I’m sure.